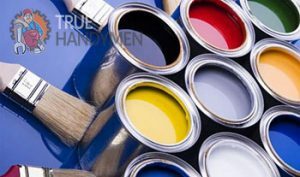 We offer private and business customers across London access to quality painting and decorating services at excellent prices. In order to ensure high standard of work and best possible results we have teamed up with highly experienced painters and decorators qualified in various types of painting and restoration. There is no project too big or too small for us to handle – all painting and restoration work undertaken. Our highly experienced painters are just as good in both interior and exterior paint, repaint and renovation projects. Complete property repaints can also be organised for at very good prices. Customers usually have highly varied painting requirements this is why the service is modified as per individual needs and wants without excess costs or unnecessary hassles. Restoration and sealing (weather proofing) of pergolas, decking etc. In order to deliver best possible results within a short period of time, and at a reasonable cost we use only industry grade paint systems. Depending on the project we are dealing with, our painters will choose and apply the right products in the correct amounts and order. Our guys are highly skilled and efficient with water based interior and exterior, oil based systems, low sheens, high gloss, acrylics, weather-tough paints, two-pack clear/gloss systems, decking oils, metal and wood primers, sealants and fibre putties, varnishes and lacquers and many more. Our handyman in London also handle a variety of renovation projects where existing surfaces and materials are mechanically and/or chemically stripped of old paint and finish and then retreated and repainted with modern paint systems. Please be advised though that renovating is no magic and can only bring so much of the former good looks of surfaces and materials. Visually and physically, reconditioned surfaces and materials revive at about 75-80%. We use high quality products and materials when performing restoration and reconditioning. Keep in mind that exterior paint and repaint projects are only carried out in fair weather as rain, high wind or extremely low/high temperatures would affect most paint systems thus reducing the optimal quality of results. We would be happy to reschedule. We can assist customers with colour selection, colour matching, surface finishing and those all-important final touches.